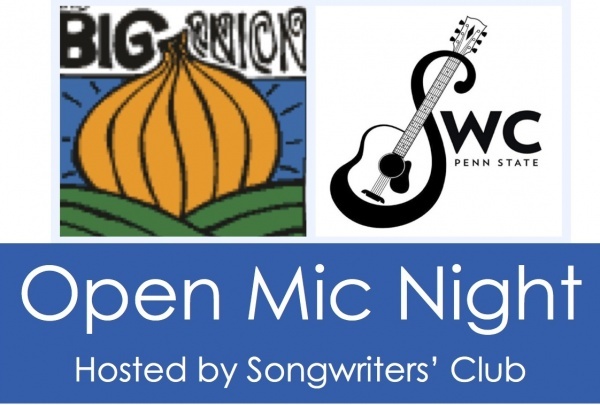 Penn State University Songwriters Club just announced their first open mic of the 2014 semester! It will be in East Halls at the Big Onion with sign-ups starting at 7 o’clock and performances going from 7:30-10:30. Time to show off those songs you’ve been writing this break about being bored at home and missing Penn State (that’s a pretty good line right there actually…), or maybe that new cover you learned while hiding from the subzero temperatures outside! Even if all you’ve got to offer is an open ear, stop by the Big O for some jams.